Prominent & Leading Exporter from Vasai, we offer plastic folding stools, plastic multipurpose stools, multipurpose folding stools, institutional folding stools, plastic foldable stools and folding stools. 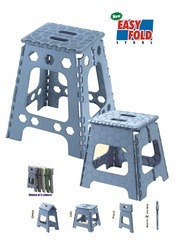 Taking quality as a prime focus, we have emerged in the market as one of the leading Plastic Folding Stools manufacturers, suppliers and exporters. Apt to be used in offices, kitchens, retail shops and various other places, these stools are widely demanded in the industry. Portable and lightweight in nature, these stools are widely demanded in the global market. Can be used to carry for picnics and can be put anywhere in the car. ie below the seat, in the boot, on the carrier. Can be used at homes for getting things from the height from storage. Can be kept under the bed, under the sofa, besides the steel almari, besides the refrigerator. We have gained prominence in the industry as one of the leading Multipurpose Stools manufacturers, suppliers and exporters. Used for various purposes, these stools are manufactured with the aid of modern machinery and technology. Besides, our offered stools can be customized as per the demands of customers to attain their maximum satisfaction. Can be used in long distance train journeys like inter city trains where you usually dont get reservations. 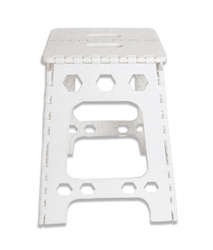 Easy to use, Easy to Carry and Easy to keep - Easy Fold Stool. It is designed in such a way that it solves the problems of space constraints in urban homes. It is also convenient to carry, use and store. 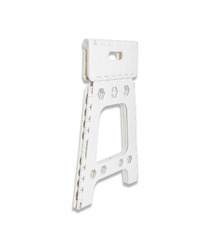 Can be used in offices and retail shops for sitting and getting things from heighted racks. Engaged in manufacturing, supplying and exporting, we are engrossed in offering our customers with Multipurpose Folding Stools Designed under the guidance of experienced professionals, these stools are widely demanded in national and international markets. 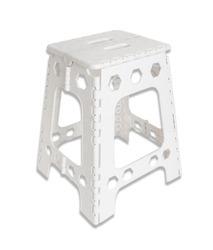 To suit the different demands of customers, we offer these stools in different sizes and designs. Enriched with vast industry experience, we have been able to manufacture, supply and export a wide range of Plastic Multipurpose Stools. 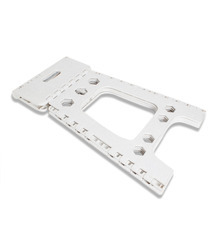 Utilizing optimum-grade raw material like plastic and allied components in the production process, we aim to attain highest benchmarks of quality. With the help of our logistic team, we are committed to dispatch these stools to the customers' end on-time. 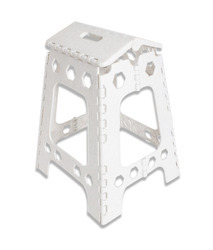 Our esteemed clients can avail from us a wide range of Institutional Folding Stools. Following international quality standards while manufacturing these products, we aim to gain maximum contentment of customers. Meeting the variegated demands of clients on stipulated time-period, we have become their prominent choice. Aiming to attain maximum satisfaction of customers as a manufacturer, supplier and exporter, we are engaged in offering our customers with Plastic Foldable Stools. Keeping in pace with the changing trends of the industry, these products are manufactured to leave no scope for defects. 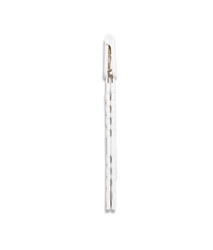 Prior to dispatch, our offered stools are checked on various parameters to ensure flawlessness. Well-known in the industry as a manufacturer, supplier and exporter, we are engaged in offering our customers with Folding Stools. These stools are developed in accordance with the industry set norms and guidelines to meet the highest benchmarks of quality. To ensure smooth movements, these stools are checked on various parameters by our quality controllers.